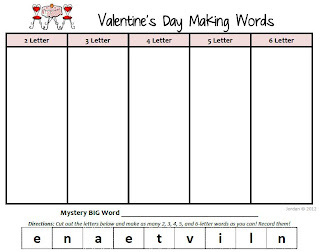 Download this FREE Making Words activity for Valentine's Day! Students will love scrambling and putting together the letters to see how many words they can make with the letters. Use this activity in Literacy Centers, small groups, or in your Daily 5 rotations!